Your kennel name goes above. Drag in the "Title" element and type in your kennel name. 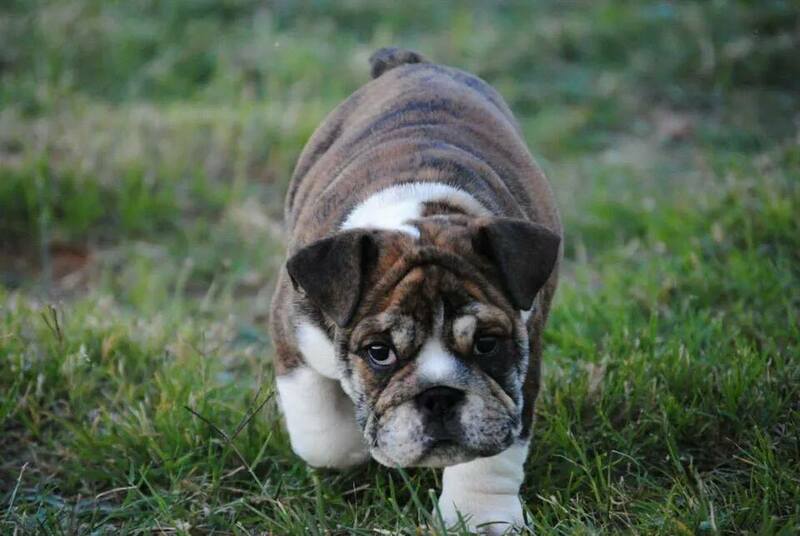 We are a small family-run kennel located in Andrews, Texas specializing Small & Standard Sized AKC English Bulldogs. We strive for quality not quantity, and every puppy will come pre-spoiled and ready for their forever homes. These dogs are comical, loyal, patient, kind, and endearing....in a smaller package!!!! 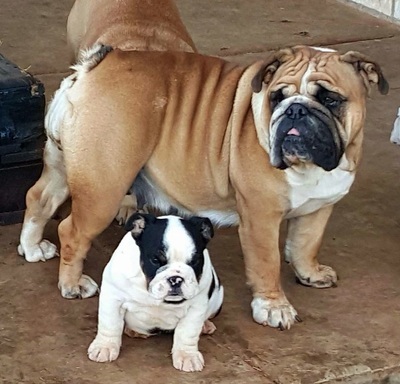 We breed both Miniature sized and Standard sized English bulldogs. Our pups come in a rainbow of colors. Along with offering standard colors, we now have added rare colored English Bulldogs to our program! Our breeding program strives for a HEALTHY-clean breathing, athletic, tolerant miniature and standard sized English bulldog. I like my moms to be as involved in raising their babies as possible! Every litter is raised in our home! We take great pride in our dogs and pups. 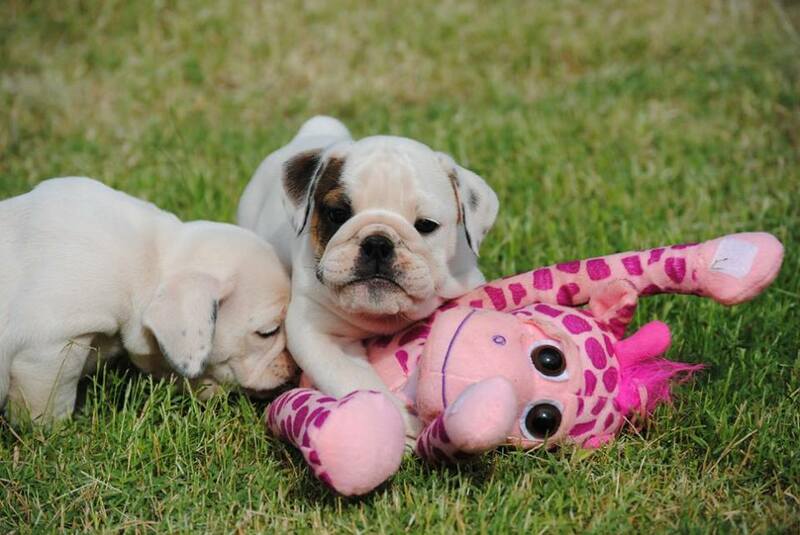 We offer shipping ping via our puppy nanny NATIONWIDE and Internationally. We prefer to ship our puppys this way! It's reasonably price & the customer service can't be beat! On our site, you will find information about the English bulldog breed standard. You’ll see our males and beautiful females, as well as available pups and pups that already have new families. 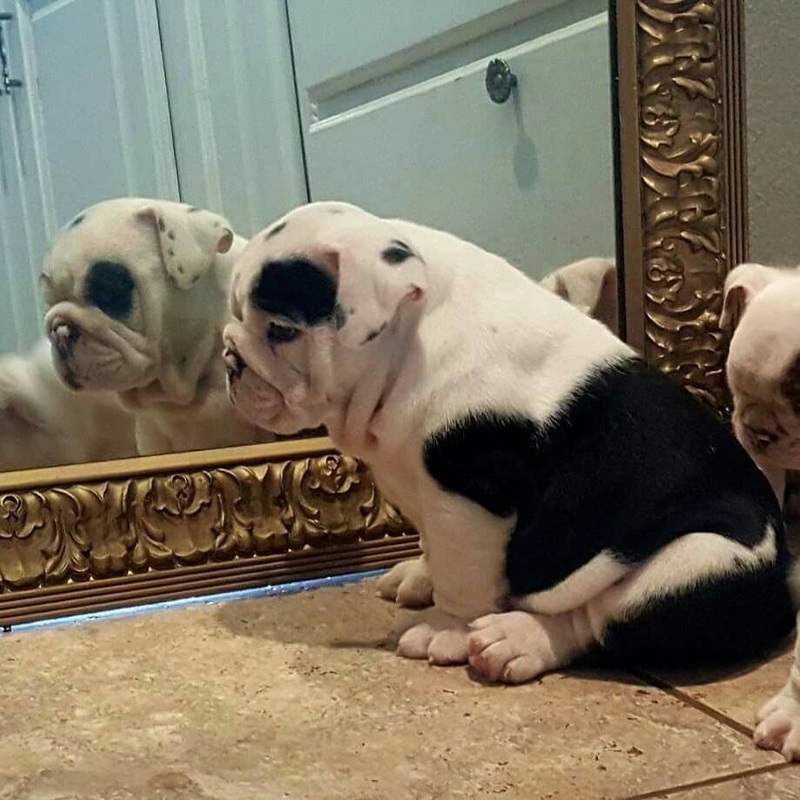 If you are in the market for a miniature or standard sized English Bulldog our little puppies will capture your heart like no other! So, please give us a call if you are looking for your next family member. We would be thrilled to talk with you about our beautiful dogs, and answer any questions you may have. 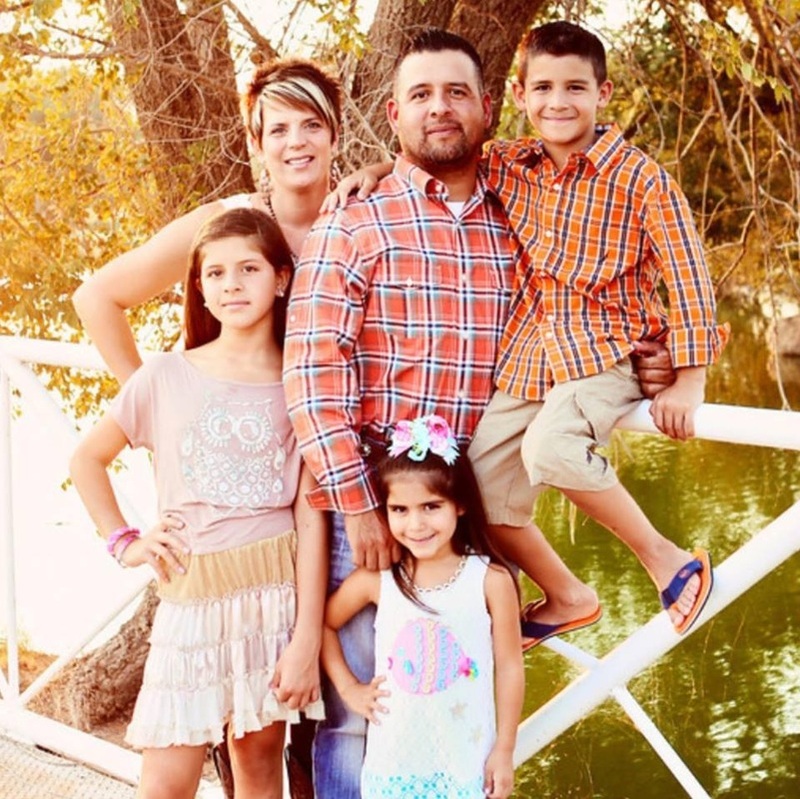 You can reach us by email at buenoslittlebulldogs@hotmail.com, or phone, at either 432-266-1193 or 432-266-1781. We hope that you enjoy our site and our amazing bulldogs! 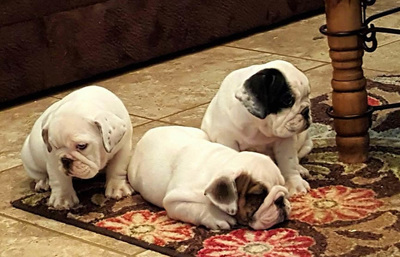 Miniature English Bulldogs in Texas. 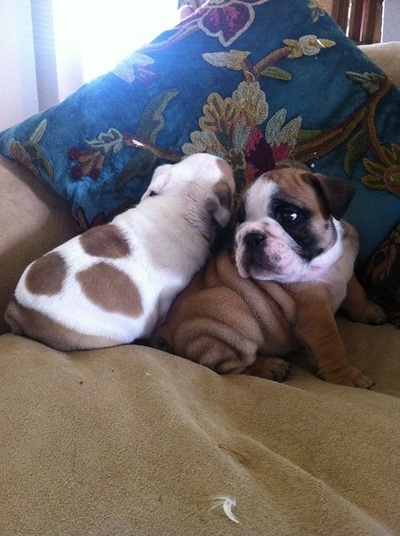 Puppies for sale ocassionally.